(i) In General. For a paper not filed electronically, filing may be accomplished by mail addressed to the clerk, but filing is not timely unless the clerk receives the papers within the time fixed for filing. dispatched to a third-party commercial carrier for delivery to the clerk within 3 days. the court of appeals exercises its discretion to permit the later filing of a declaration or notarized statement that satisfies Rule 25(a)(2)(A)(iii). (B) Electronic Filing and Signing. (i) By a Represented —Person Generally Required; Exceptions. A person represented by an attorney must file electronically, unless nonelectronic filing is allowed by the court for good cause or is allowed or required by a local rule. may be required to file electronically only by court order, or by a local rule that includes reasonable exceptions. (iii) Signing. A filing made through a person’s electronic-filing account and authorized by that person, together with that person’s name on a signature block, constitutes the person’s signature. (iv) Same as a Written Paper. A paper filed electronically is a written paper for purposes of these rules. (4) Clerk’s Refusal of Documents. The clerk must not refuse to accept for filing any paper presented for that purpose solely because it is not presented in proper form as required by these rules or by any local rule or practice. (b) Service of All Papers Required. Unless a rule requires service by the clerk, a party must, at or before the time of filing a paper, serve a copy on the other parties to the appeal or review. Service on a party represented by counsel must be made on the party’s counsel. (2) Electronic service of a paper may be made (A) by sending it to a registered user by filing it with the court’s electronic-filing system or (B) by sending it by other electronic means that the person to be served consented in writing. (4) Service by mail or by commercial carrier is complete on mailing or delivery to the carrier. Service by electronic means is complete on filing or sending, unless the party making service is notified that the paper was not received by the party served. 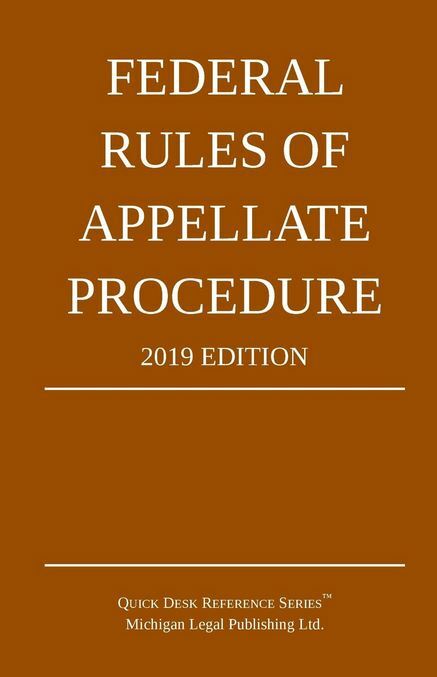 (2) When a brief or appendix is filed by mailing or dispatch in accordance with Rule 25(a)(2)(A)(ii), the proof of service must also state the date and manner by which the document was mailed or dispatched to the clerk.